There’s something that feels very right about knowing your child will share your DNA. Having a genetic link to your future baby may be high on your priority list. As an Intended Parent, myself, I completely understand the emotion and logic behind the desire to parent a child with one’s own DNA. Receiving donor eggs from a friend or family member is called Known Egg Donation. Some lucky people are flooded with offers from the women in their lives when sharing their struggle with infertility, others may spend much time considering how to approach the topic with the women in their lives. When it comes to using a family member as an egg donor there are advantages and disadvantages, of course! How will it impact your relationship with the egg donor in the future? Could your raising of her genetic child put a strain on your relationship in the future? What role do you see your egg donor having in your child’s life? Do you and your egg donor have the same ideas about what the relationship should look like? 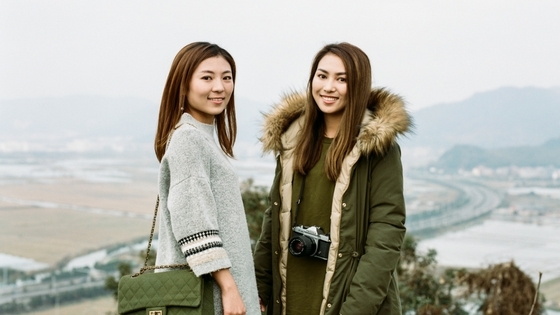 Will you have feelings of jealousy or resentment if they are very close? What will the child be told about their origins? What will you tell friends and family members? Does your family member have children of her own? How might her having children or not having children factor into the relationship long term? How does your egg donor feel about selective termination? Do they understand that multiple embryos may be created? What will happen to the embryos that do not get used? There are so many considerations involved and so much potential for heartbreak, or disagreement. It is highly recommended that you and your egg donor attend counseling services with someone who is knowledgeable about egg donation. You can enjoy many of the benefits of known egg donation without creating tension within your family. 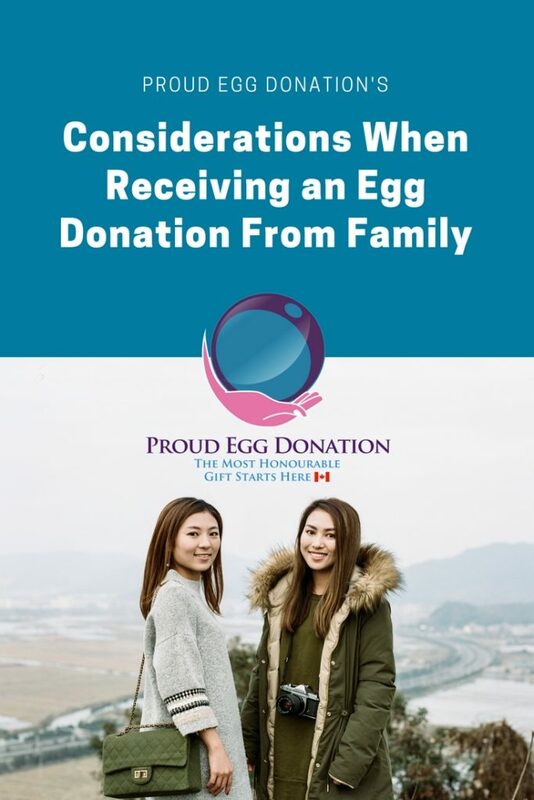 At Proud Egg Donation, we facilitate known egg donation agreements between families like yours and private egg donors. With this kind of known egg donation, you are able to meet and get to know your egg donor. You can make arrangements to stay in touch and have as much or as little contact as you would like. All of the details will be laid out in a legal agreement, outlining the responsibilities and expectations of the parties. You can choose to be kept up to date on family health information, and you are in control of the relationship between your egg donor and your child. If you’d like to learn more about choosing an egg donor, we’re happy to help! Please reach out to us through our Intended Parent Interest Form.